Elwha River contains equal parts Eucommia Bark (Eucommia ulmoides) and Deer Antler Velvet (Cervus nippon Temminck)—both as clinical grade, 10:1 concentrated powdered extracts. These historical adaptogenic, tonic herbs are venerated for their restorative effects, particularly promoting vitality, longevity, and male reproductive health. * While similar in nature, Eucommia and Deer Antler Velvet are distinctly different herbs, complementary in nature and working synergistically in effect. Elwha River is part of our Forest Formulations collection of products. This formula is for those seeking a strong, supportive Yang restorative. Deer Antler Velvet (Cervus nippon Temminck). From RAW Forest Foods, the leaders in adaptogenic, tonic, and pro-androgenic herbs. View our Elwha River Restore the Yang quick facts PDF (Coming soon). Each package contains 65 grams of our Elwha River Restore the Yang formula. At 2 grams per serving, there are 32.5 servings per package. At RAW Forest Foods, all of our packagings is food grade, and the outside and inside pouches of this product are resealable. The opaque color of the outside pouch helps to block UV light and prevent degradation of the product. The artwork on this pouch was produced specifically for—and inspired by—this product. The ingredients in this formula are produced using industry standard methods, where the whole, raw herbs are concentrated by decoction and spray dried. It takes ten times the amount of raw ingredients to produce just one part of the final product. Each 65 gram package contains the equivalent of 1.433 pounds of whole, raw herbs. These are clinical grade 10:1 concentrated extracts. In Chinese Medicine, Eucommia is known as Du Zhong and is used as a powerful Yang tonic. 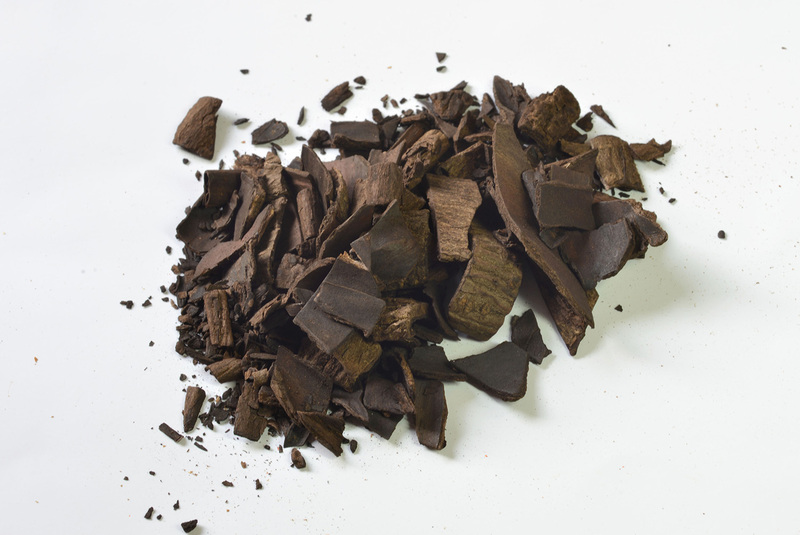 While warm in nature, Euommia is not as warming as other popular Yang tonics, and as such may be a better choice for many drawn to its restorative effects. The use of Eucommia as a tonic herb dates back several thousands of years. Roughly 112 different compounds have been identified in Eucommia ulmoides, including flavonoids, polysaccharides, lignans (Eucommide-A and Eucommides-C), iridoids, phenolics, and phyto-steroids and terpenoids. Eucommia also contains amino acids, micro-elements, vitamins, and fatty acids. 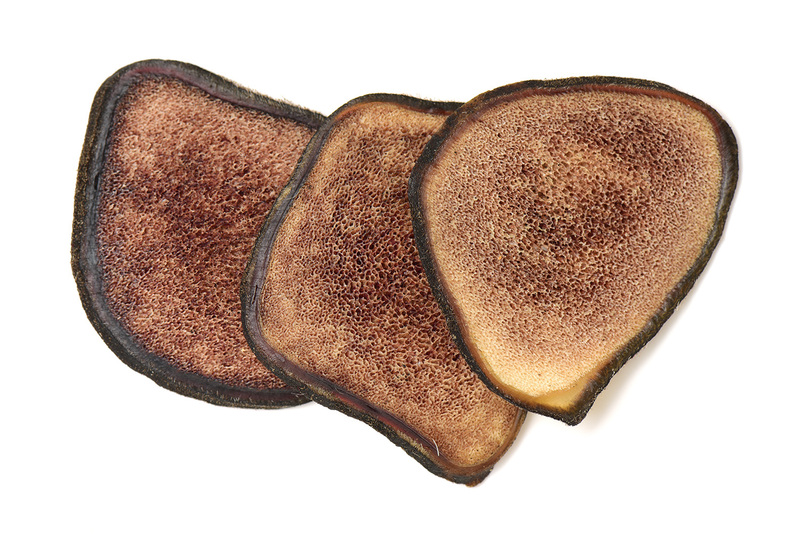 Deer Antler Velvet is among the hariest restorative tonics—and for good reason. With a long range of usage indications and effects, Deer Antler Velvet has a known usage dating back over 1000 years. Bioactive components of velvet antlers and their pharmacological properties. Suggested use is 2 grams, taken as needed. Dosage may be broken up throughout the day into two servings: 1 gram in the morning (taken first thing, 30 minutes before eating) and 1 gram in the afternoon (taken on an empty stomach). In each 65 gram pouch, there are 32.5 servings. Extracted at a 10:1 concentration, each serving contains an equivalent of 20 grams of whole, raw herbs per serving. At RAW Forest Foods, we like to take our powdered extract in approximately 6 ounces of warm water, taken on an empty stomach. We have worked hard to offer Elwha River to you, using clinical grade 10:1 concentrated extracts, as part of our complete line of products. Elwha River is made professionally starting with whole, raw herbs, with final packaging done in domestic, FDA cGMP facility.